Our popular Whale Watching Tours are available for booking. 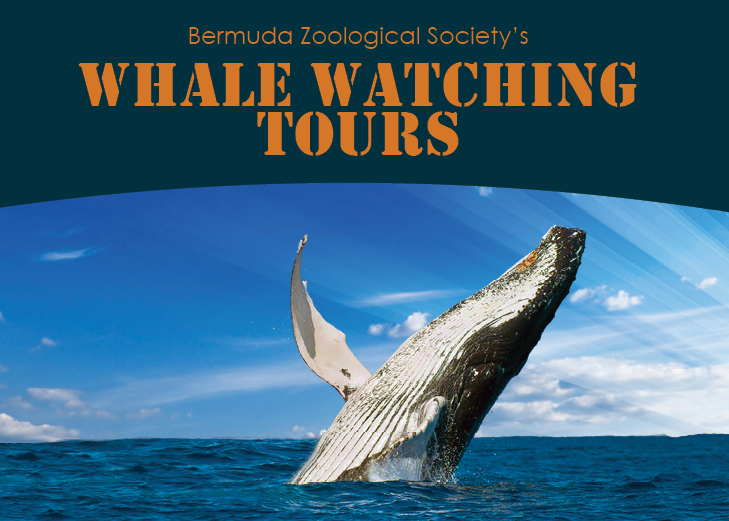 Whale Watching with The Bermuda Zoological Socity and The Bermuda Aquarium, Museum & Zoo is a must! Join us on board the R/V Endurance for an unforgettable experience on the open ocean and an up close encounter with the migrating Humpback Whales. Tours are from 11:00am to 5:00pm and will operate Monday, Thursday, Saturday and Sunday from 10th March to 30th April. Check-in is at Flatts dock fifteen minutes before departure. To register manually or for more information please contact Island Tour Centre at info@islandtourcentre.com and 'Leave a message', or call (441) 236-1300. To register, please see link beneath the poster.